The bogan understands the universe. From the big bang that started everything approximately 13.75 billion years ago, to The Big Bang Theory that started on Channel 9 on March 12, 2008, the bogan soars over space and time, like a golden, winged Jet Ski with the ability to transcend all of existence. Contemplating its own constitutional right to eternity, the bogan intermittently sought refuge in the afterlife offered at its local megachurch. Returning to its McMansion, it would then ponder Buddhist reincarnation while focusing its eyes on the various pieces of Buddhist iconography that it had commandeered as domestic decoration. As the complexity of rebirth and multiple lives began to reveal itself to the bogan, it realised that it would need at least four of its child’s Ritalin tablets to complete this train of thought. The bogan, it did not sleep that night. Pacing between its rumpus room, its family room, its lounge room, its formal living room, its theatre, its dining room, and its informal eating area, concepts flew like lonely comets in the vast expanses of inky black sky. Karma, immortality, birth, death, lifespans, heaven, purgatory, rebirth. The first light of dawn brought no more relief than the three massive cans it had gasped down since 4am. It would need to drive its car. Driving its car would bring freedom. The ability to speed away from its troubles. But going 80km/h didn’t work. Paralysing thoughts of universe still present. 100km/h. A slight improvement in wellbeing. But the bogan did not aspire to a slight improvement in its wellbeing. It wanted maxtreme wellness. To be so well that it shat multivitamins. At that moment rays of sunlight scrambled over the Bunnings Warehouse on the horizon, and everything was illuminated in the bogan’s mind. All of these big ideas about reincarnation and eternal life could be completely scrapped. You Only Live Once. 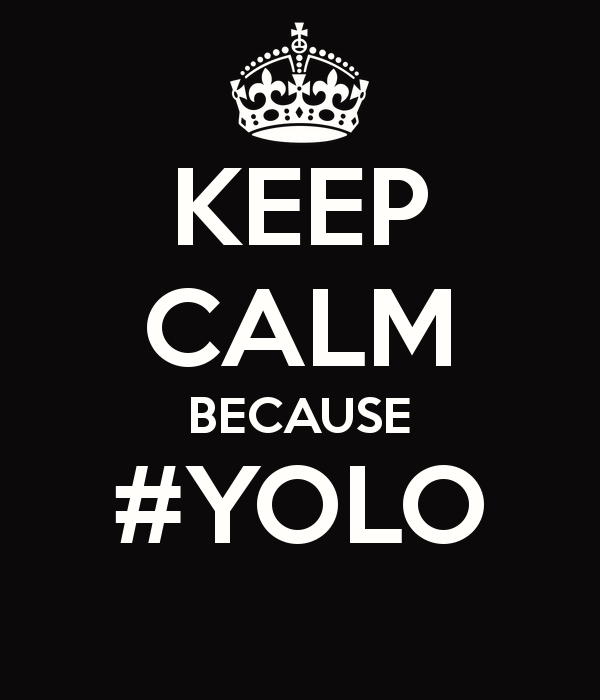 “Fucken YOLO!! !”, the newly liberated bogan whooped, plunging its foot into the accelerator pedal. The subsequent 8 minutes between this moment and the flashing lights of the police car were pure existential bliss. YOLO neatly distils boganity into a blunt, four letter weapon that the bogan can use to attack anything that has a passing resemblance to a good idea, and embrace anything that is profoundly idiotic. Angry Angus burger with 56.5 grams of fat? YOLO. Interest-free finance with an interest rate of 20%? YOLO. Saving a portion of its salary each month? Nah, YOLO. 150km/h therapeutic morning spin through the suburbs? YOLO. Back alley Thailand tetanus tattoo of YOLO in gothic font? Well… YOLO. The bogan only lives once, and is determined to make that once as brief as possible. Temporarily deflated by its run-in with the local constabulary, the bogan rolled back to its McMansion at 5km/h below the speed limit. Still jittery from the heady mix of Ritalin, caffeine, guarana, adrenaline, and a $400 fine, it resolved to pull a sickie, and soothe itself by watching the hilarious adventures of Leonard, Sheldon, and the whole Big Bang Theory gang on its Blu-Ray 3D LED LCD HD HDMI USB 100HZ TV. There would be no more troublesome thinking that day.